Hi everyone! 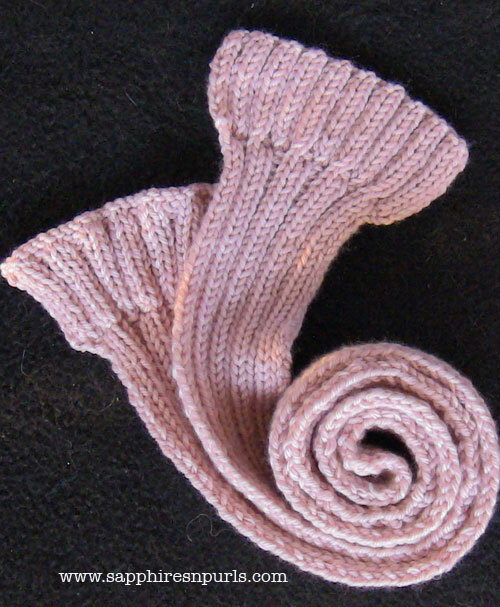 My friend Judie from Heavenly Hues Yarn asked me to share this photo of a scarf knit by one of her customers. This was knit with Candy, from Feza Yarn. Judie sells Feza Yarns exclusively. Please stop by Heavenly Hues Yarn and check it out. In addition to the Feza Yarn, Judie has other knitting goodies including Eucalan, buttons, and tote bags. She also serves up great customer service! Knitted Broomstick Lace, no crochet hook required! 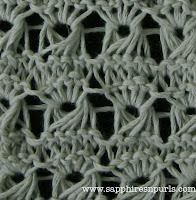 I first saw broomstick lace a few years ago, and gave it a try, but didn't like fussing with the crochet hook. The whole process was just too fiddly for me. Imagine my surprise to learn that you can knit broomstick lace. 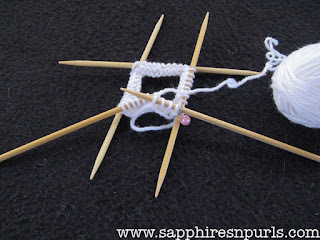 I saw this process in the Summer 2012 issue of Love of Knitting. 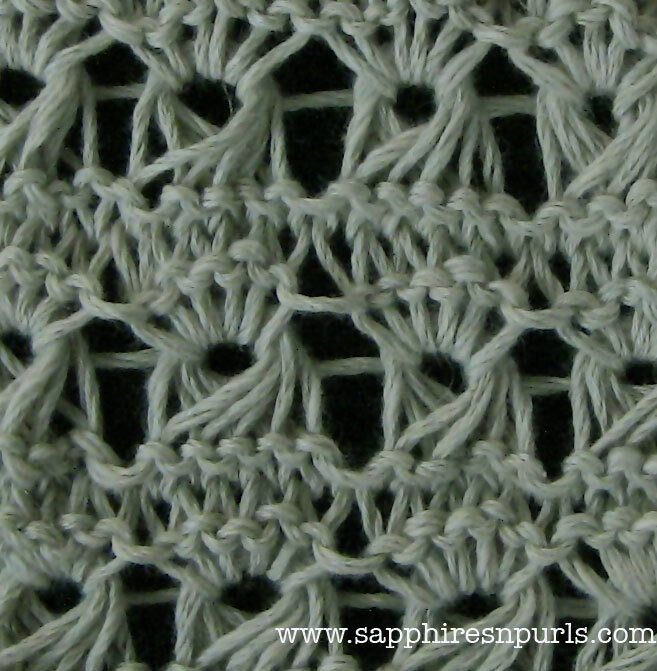 Along with instructions for the broomstick lace, there are a few patterns in the magazine. For the first row K1, YO(2) across the row. That is, knit the first stitch, make a double yarn over, and repeat to the end of the row. Next, you will be slipping the knit stitches and dropping the yarn overs. Slip a total of five stitches to the right needle. These stitches will be long/loose. Then, place the five stitches back on the left needle. You will now K1, YO, K1, YO, K1 into this group of five stitches, and drop from left needle. Repeat this to the end of the row. Love of Knitting did not specify how many rows of plain knitting to do in between the above steps. I suppose it does not really matter, however, if you look at one side of your work you will see a strand running across the fabric. You can see the strand in the picture of my sample from the front; it is more noticeable on the back. 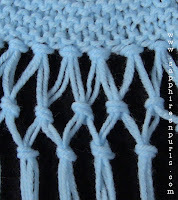 If you work an even number of rows between the lace stitches, your strand will always be on the same side of the work. You could set it up so that the strand shows alternately on the 'front' and 'back' of the work. For me, I actually like the look of the strand running across the fabric, so consider this a reversible fabric. Try a sample and see what you think. Here is a video of the process. I misspoke and said I had 25 stitches on my needles, I only worked with 20. Happy Knitting! Each year, I plan some type of holiday project that never works out. This year, I actually got it done in time! 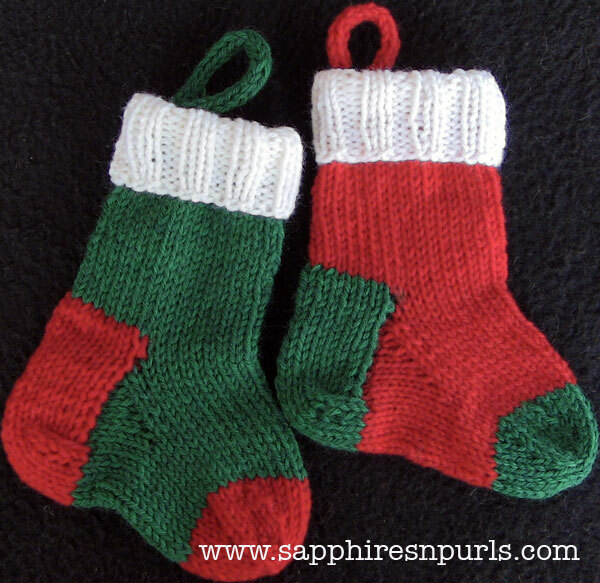 This cute little stocking is a fairly quick knit - I whipped each one out in just a few hours. And that was with a multitude of distractions. One stocking uses less than 100 yards of Cascade 220 yarn, and you don't even have to use red/green/white. My test knitter used pink/grey/white and it looks very pretty! You can use these for decoration, or stuff them with a few small gifts, such as gift cards or maybe some cash. A plane ticket to a nice quiet beach.... ok that is my wish, but you get the idea! Don't be afraid if you have never knit in the round, on DPNs, or made a sock. This is really easy, I promise! My test knitter has never knit socks, and has only limited DPN experience, and she was able to complete hers in an evening. That was without the video, using a pre-edited pattern. She also promises it is very easy! I have a video of knitting the stocking incase you need help; that along with the written instructions should give you a quick, easy knit that will be done in time for Christmas! Click on the picture below to purchase the pattern. Happy Christmas Knitting! Just a little video on knitting with double pointed needles, or DPNs. Not as complicated as you may think. Although awkward at first, you will find a comfortable way to hold all of those pointy sticks while knitting. And DPNs aren't just for knitting socks or other small scale items in the round. I often use mine for cables, and you can use two to work flat. DPNs come in all different lengths and sizes. You can get them in bamboo, wood, metal and even acrylic. Newer knitters may want to use wooden or bamboo needles, as there is less a chance of the yarn slipping off. Here is the next project that I am doing for the beginners. If you have already done the garter stitch scarf, and would like to move on to something a little more advanced, give this scarf a try. 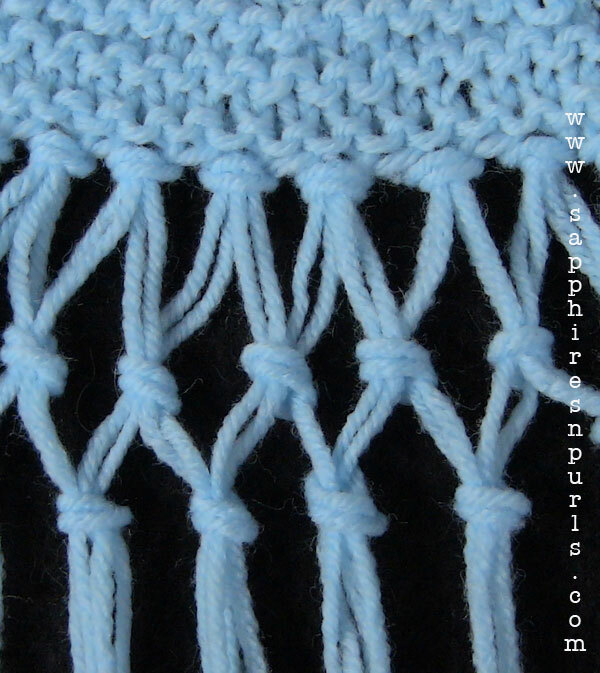 In addition to the knit stitch, you will be purling, knitting two stitches together, purling two stitches together, and finally knitting into the front and the back of a stitch. Knit two together (K2tog) and Purl two together (P2tog) are decreases, and by knitting into the front and back of a stitch (KFB) you will be increasing. This scarf starts out on forty stitches, and this is decreased down to twenty after ten rows. At the end of the scarf, we will increase back up to forty stitches, work for ten rows and then bind off. You will need two balls of Cascade Cash Vero and US Size 9 needles to make this scarf. The written pattern is available for download on Craftsy, just click the picture below. The video is below, and goes from cast on to bind off. I tried to show as much as possible in the video. There are also links within the video for the stitches used in the scarf. To go with the Double and Triple Knotted Fringe from last week, I thought I would throw in Beaded Fringe. So super simple to do! All you need are some beads appropriate for your yarn, a crochet hook or bead needle ( or other gadget to get the beads onto the yarn ) and you are ready. Beads that are too big can fall off; if you find some beads that you really want to use, but they are too big for a single strand of yarn, you can use multiple strands, or after threading the yarn through the bead, bring the tail up and tie a knot above the bead. Loopy beads :0) I didn't show this in the video, because it only occurred to me now as I write this. You can place the beads anywhere on the strands of fringe you like. Near the top, bottom, or somewhere in the middle. You can put them on randomly, or place them in specific places. Use different colors, whatever you like. Here is a short video. Have fun adding beads to your fringe! I love fringe. It can turn a boring scarf into something more fun. Usually, a single knotted fringe will suffice; but sometimes something a little more fancy is nice. 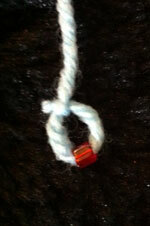 Here is a video showing both double and triple knotted fringe. I am sure others may have their own methods, this is the easiest way for me. 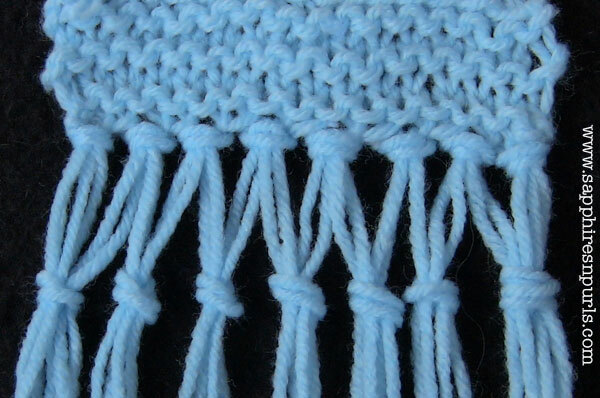 If you make fringe, and find a different way works better for you, that is fine too. You know my rule - there is no wrong way! Make sure that your starting strands are at least several inches longer than you intend for the final fringe to measure. The tying of knots takes away from the length, as does trimming the ends if you intend to do so. It is better to have fringe that is too long than not long enough. If you need to know how to add a simple, single knotted fringe, go HERE. Once you have your single knotted fringe on, you can do the double or triple knotted fringe. With the exception of the first and last group of single knotted fringe, all you are doing is tying an equal number of strands from each group of the single fringe together. For the first group of fringe, I use the whole bunch, tied together with half of the second group of fringe. For the last group of single knotted fringe, I use the last half of the next to last group, and tie it to the entire last single knotted fringe. You can do as many rows of knots as pleases you, but for me I find one or two rows is enough. Remember, make sure you have enough yarn so that your fringe still has some length to it after you have tied knots and trimmed ends. I would recommend adding just a few test groups of fringe to see if you end up with the desired result, before cutting enough yarn to fringe your entire piece. This is a first project, geared towards the beginning knitter who can cast on, make the knit stitch, and bind off. There is a video below that shows casting on, knitting the garter stitch fabric, binding off, and finally, weaving in the loose ends. Links are given within the video for those who may need help casting on, knitting, and binding off. You can use any yarn and needles you like to make a garter stitch scarf. If you choose a chunky or bulky weight yarn and larger needles, your scarf will knit up faster. 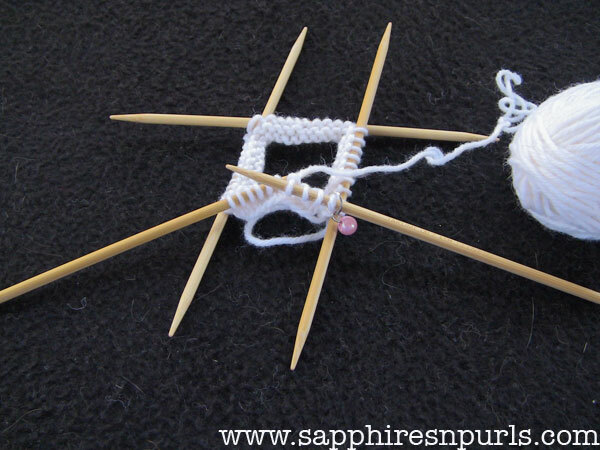 It is also easier to work with larger needles and heavier weight yarn if you are a beginner. A light colored yarn is recommended for new knitters, because the stitches are easier to see. Knit until you have approximately 1 yard of yarn left. Bind off, weave in loose ends. Your new scarf is now ready to wear!